An investigation into financial irregularities is ongoing. SINN FÉIN HAS confirmed it has lifted the expulsion of Cork councillor Kieran McCarthy. The Cobh-based councillor was expelled last month amid controversy over tensions with Sinn Féin TD Sandra McLellan and loans he took out in the party’s name for the local elections last year. Mallow-based councillor Melissa Mullane was also suspended for one year following an internal review. Sinn Féin’s national chairperson Declan Kearney today confirmed that Mullane’s request for an appeal into her suspension has been granted by the party’s Ard Chomhairle. He also noted that McCarthy’s expulsion has been lifted “in order to allow him a further opportunity to assist the party in its investigation of financial irregularities in the accounts of Cobh Cumann, which is on-going”. McCarthy denies any wrongdoing and has threatened to sue the party. 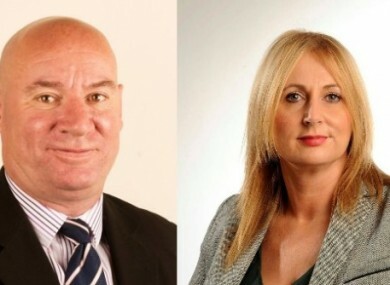 There had been tensions in the constituency when both councillors declared interest in running for the Dáil, putting McLellan’s future in doubt. As the review was taking place, an anonymous blog, ‘An Rebel Óg’, strongly criticised McLellan’s performance as a TD. Sinn Féin previously said it would not be making details of the review public. Read: What on earth is going on with Sinn Féin in Cork East? Email “One month on, Sinn Féin has un-expelled this Cork councillor”. Feedback on “One month on, Sinn Féin has un-expelled this Cork councillor”.